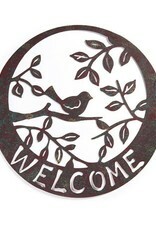 Natural Living Bird Design WELCOME Wall Plaque. 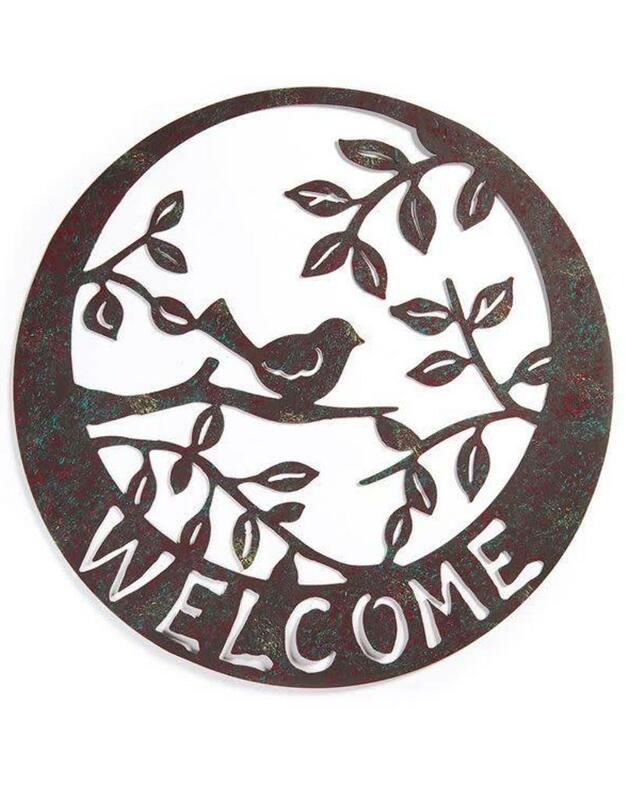 Dark brown metal wall plaque design features a small bird sitting on a tree branch with leaf design detailing and cut-out WELCOME sentiment in bold typography. 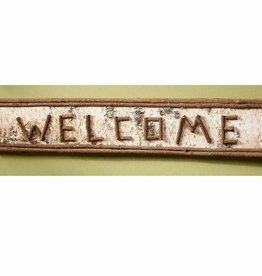 Iron Sheet. 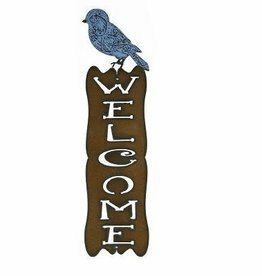 A beautiful handmade welcome sign topped by a bird. 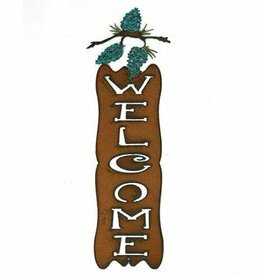 Painted reclaimed metal standing 15'' tall.